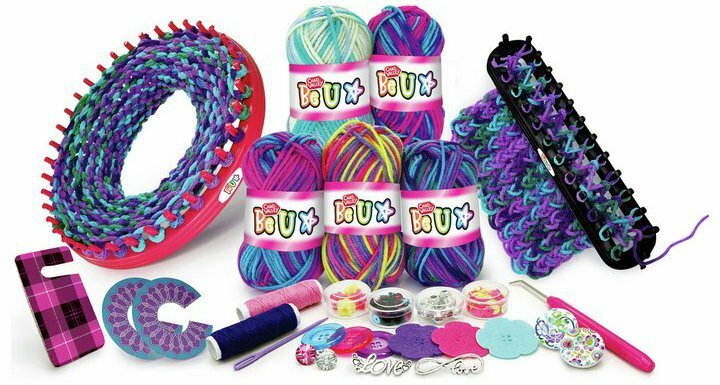 Let the imagination of little ones flourish as they make their very own unique knitted creation with this fantastic Chad Valley Be U Knitting set. Boasting a great variety of choice from scarves and hats to accessories - which can all be created in a plethora of vibrant colours - a budding creative designer can take full advantage of the knitting looms, knitting hook, a tassel maker, a pom pom maker and a great number of beads and sequins to sate their decorative desires. Get money off with April 2019 free Argos voucher codes, see if there's a promo code for the Chad Valley Be U Knitting Set product. Argos may be out of stock of this product. To enhance your shopping experience you may also be redirected to a search results page when you click an outbound link. 4.6/5 from 14 recent reviews.